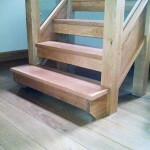 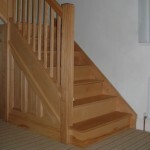 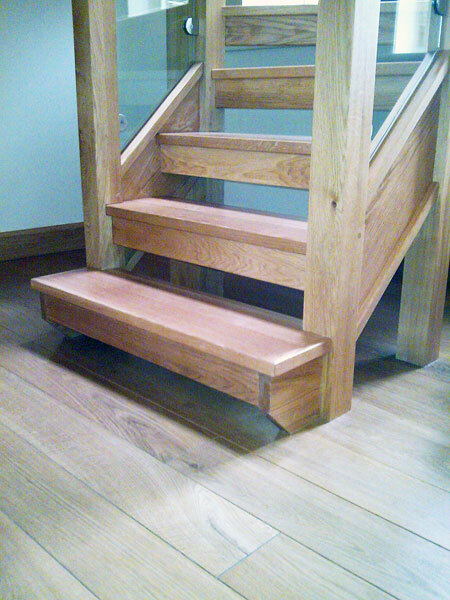 A closed string staircase comprises of a closed string with either solid timber or MDF treads and risers. 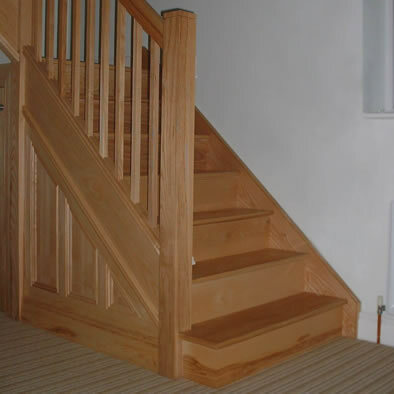 The newel posts and spindles can be square or turned to a matching pattern or profile if required. 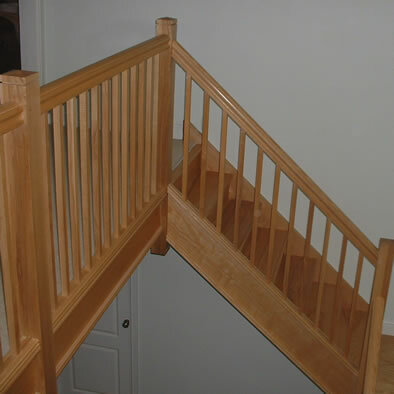 Closed string flights can be between walls and double back on themselves with the aid of landings or tapered treads (winders), or a combination of the two.